The Customize Windows > Computer and Internet > Cloud Computing > Private Cloud Platform Selection : OpenStack, VMWare or Microsoft ? Private Cloud Platform Selection has more than one reasons to take the latest packages under the magnifying glass and analyze to build private cloud for own. The names of Private Cloud Platform arise in this topic are OpenStack, VMWare, Microsoft, Eucalyptus, Cloud Stack, Red Hat Cloud, Cloud Foundry etc. We only can point you towards the positive and negative points of each Private Cloud Platform, but it is you who have to select the Private Cloud Platform yourself, simply as we can not promote any particular Private Cloud Platform. 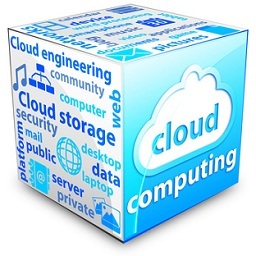 Previously we discussed about Private Cloud through various articles. Private cloud environment is characterized by the concept that own data center or dedicated server can be connected with third party’s Private Cloud Platform. Companies can use Private Cloud Platform for their employees, departments and projects for scalable resources in the form of virtual machines as well as development platforms on demand. In addition to infrastructure-as-a-Service (IaaS) solutions , there is also approaches through Private Cloud Platform to deliver platform-as-a-Service (PaaS). Open Stack / Rackspace Private Cloud Platform : We wrote about Open Stack before. The Open Stack source code is freely available under the Apache 2.0 license. This gives the opportunity to develop own cloud solutions and improvements to be channeled back into the project. Rackspace as a company has one of the best customer support, be it Private Cloud Platform or Public Cloud. Customers includes DreamHost (oh yeah), Sony and more as Private Cloud Platform. VMWare Private Cloud Platform : VMware offers Private Cloud Platform in addition to some public cloud solutions. This is not surprising, by the manufacturer of the pioneers in the field of virtualization softwares, a technology that is the key element of cloud computing. Southwest Airlines, Revlon are their proud Private Cloud Platform customers. Microsoft Private Cloud Platform : Microsoft System Center is the direct interface to the user. As the control center responsible for the System Center Configuration; provisioning, monitoring and operation of the cloud infrastructure, it is easier to handle Private Cloud Platform. Microsoft provides free trials, link to download Microsoft Private Cloud Evaluation Software etc. for evaluation of their Private Cloud Platform. As usually, all softwares for Private Cloud Platform of Microsoft is proprietary. The selection of Private Cloud Platform somewhat depends on your usage pattern. Both Eucalyptus and Open Stack / Rackspace can fulfill the wide range of criteria and need of any Private Cloud Platform user as these Private Cloud Platform uses Open Source Softwares. This Article Has Been Shared 3146 Times! Articles Related to Private Cloud Platform Selection : OpenStack, VMWare or Microsoft ? Title: Private Cloud Platform Selection : OpenStack, VMWare or Microsoft ? Cite this article as: Abhishek Ghosh, "Private Cloud Platform Selection : OpenStack, VMWare or Microsoft ?," in The Customize Windows, July 2, 2012, April 19, 2019, https://thecustomizewindows.com/2012/07/private-cloud-platform-selection-openstack-vmware-or-microsoft/.